School sculpture workshop a hoot! I have just completed a week long residency in Dunchurch Infant and Nursery School near Rugby. 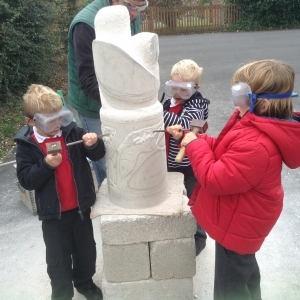 I spent 5 days in the school, generating ideas and working with the children to design the work and then to carve the Portland Limestone Sculpture. The 1m tall piece was carved with the help of all 180 children who each had a turn at chiseling the rock. 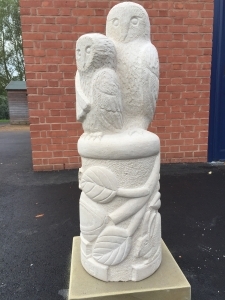 The sculpture depicts the 2 owls from the school emblem and a number of other objects inspired by the children’s designs. The sculpture now sits proudly outside the main entrance and should grace the school playground for may decades to come. Well done to everyone involved with the project. 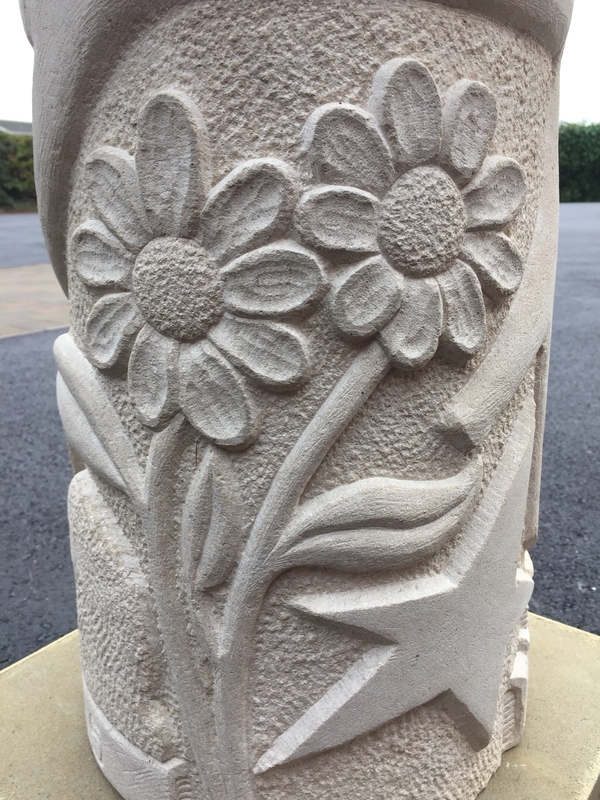 There are more images of the work that I have carried out in schools in the “Schools” section of my website.